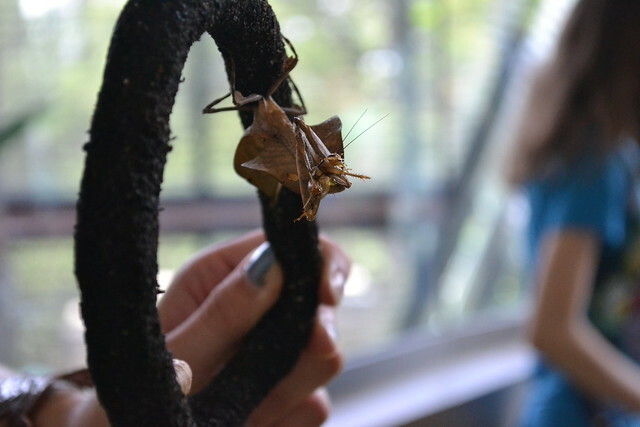 Last Friday we launched our new summer program aimed at getting patrons involved in some of our behind-the-scenes, day-to-day maintenance of the Cockrell Butterfly Center: the Friday Feeding Frenzy! Every Friday this summer, the Butterfly Center staff will feed their live animal collection in the view of our patrons, allowing you guys to learn a little bit more about how these creatures keep themselves fit and fierce. 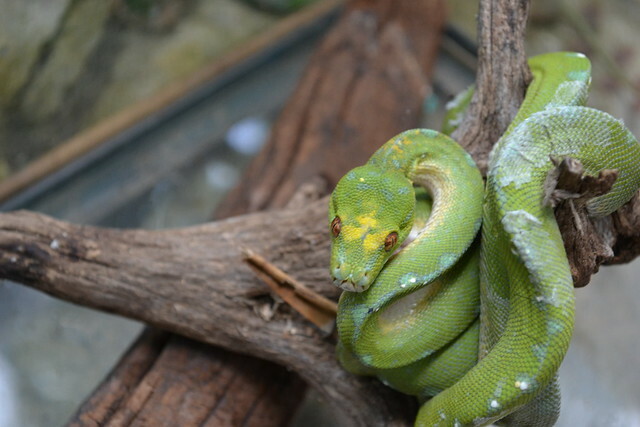 Green tree pythons like the ones that live in the Butterfly Center are equipped with heat sensors that enable them to sense their prey. Like their counterpart in the Americas, the emerald tree boa, the python constricts its prey. 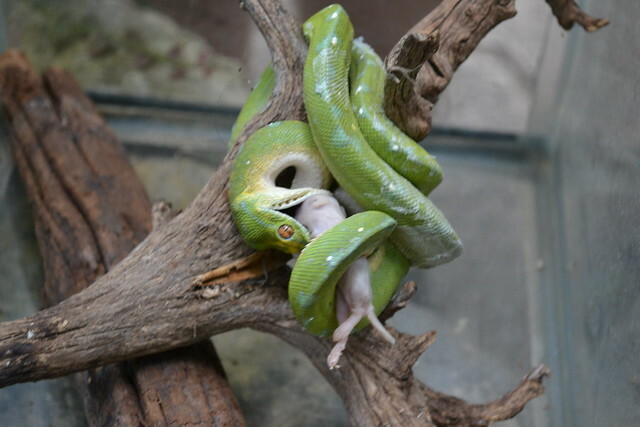 Our pythons are fed frozen mice (to kill any harmful germs and bacteria) that are warmed up to resemble live prey. The python above was captured just after he struck. 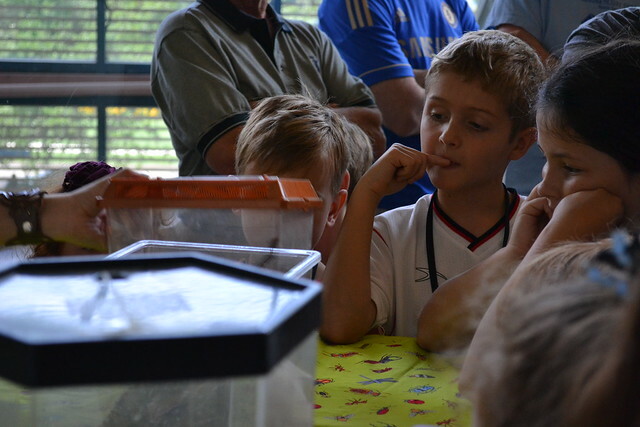 A young crowd gathers to examine the millipede and centipedes that live in the Butterfly Center. While millipedes are harmless, the Vietnamese centipede is an aggressive, predatory arthropod that packs a powerful sting. 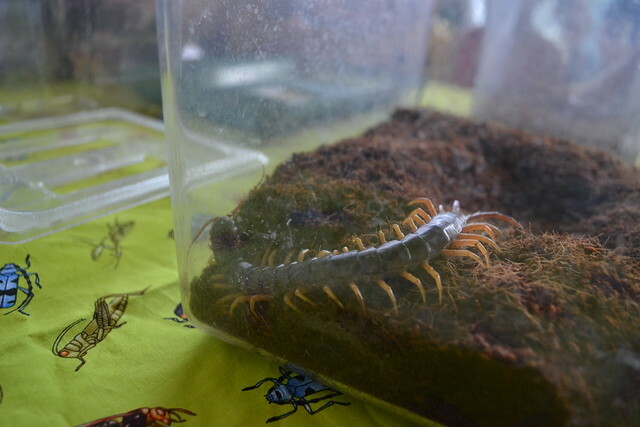 Although its name would imply that it has 100 legs, this centipede actually has far fewer. Still, it is fast, voracious and will eat anything smaller than itself — including small lizards and mammals. Above, a praying mantis rather brutally devours a live cricket. It’s a pretty fabulous buggy buffet. And best of all, it’s totally FREE! All you need is a ticket for entrance to the Cockrell Butterfly Center. For more information, including a full schedule of feeding times, click here. Previous Post Do you dig historic Houston? 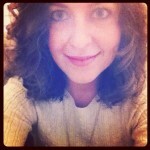 TxDOT and Join the Houston Archeology Society August 17!